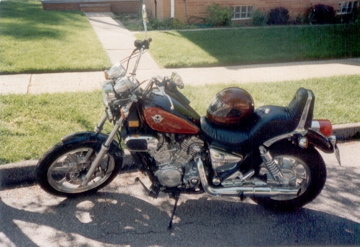 Fifteen Years Ago.... — Randy Zabarsky.. My Life..
Fifteen years ago this evening, September 17th 1997, I hopped on my motorcycle to go get some gas. I went 2 blocks from our apartmanent and a truck pulled out in front of me. 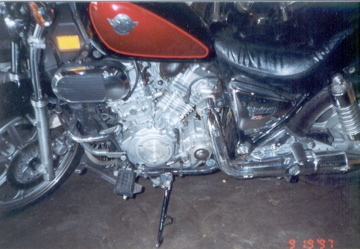 Here is my Vulcan 750 when it was new. I ended up with a broken arm and a broken leg. I had to have surgery on both for pins and plates to be added. I really believe that the helmet saved my life because my helmet had scrapes on it from dragging across the ground.